FACT CHECK: Is Dunkin' Donuts Offering Free Coffee for Teachers Every Monday in September? 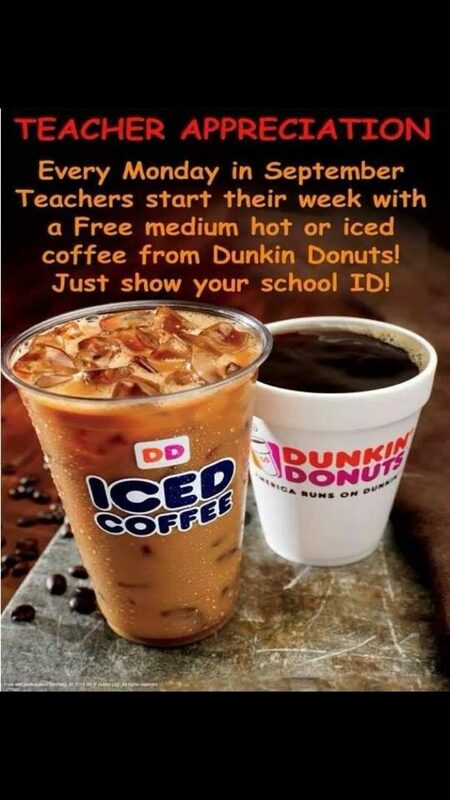 Is Dunkin’ Donuts Offering Free Coffee for Teachers Every Monday in September? A picture related to a promotion held at one Dunkin' Donuts outlet in 2014 has popped up again online every year since. Dunkin' Donuts is offering free coffee to teachers every Monday in September. Dunkin' Donuts offered free coffee for teachers at a handful of their locations in 2014 and 2015. The donut chain is not holding a national promotion that offers free coffee for teachers on Mondays in September. According to the meme, teachers are eligible to receive a medium hot or iced coffee on each Monday in September if they presented their school IDs during purchase. This is untrue, although the claim itself is not technically a scam, but it is outdated, overblown, and taken out of context. Dunkin’ never held a national promotion to offer free coffee to teachers; instead, this meme originated when a single store in Minooka, Illinois, offered the deal in September 2014. After people in other states allegedly drove to their own local stores thinking the offer was available in their area, the company confirmed on their Facebook page at the time that the offer was limited to one store in one town. 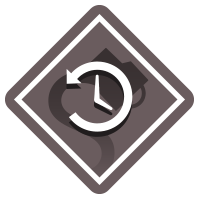 In early January 2015, however, the offer was expanded when a group of eleven stores across six states held a variant of the promotion, offering customers one free cup of coffee per day on Mondays. A company spokesperson, Michelle King, told us via e-mail that Dunkin’ Donuts does not currently offer a national free coffee promotion for teachers and apologized for any confusion. The donut chain did hold a free iced coffee promotion in certain markets for one day a decade ago, on 21 March 2007. Education World. 17 July 2017.